Starting April 1, you save $2 per ticket when you purchase a day or more in advance. That means, adult tickets are $20* in advance, and tickets for ages 18 & under are only $16*. On the day of the tour, ticket prices return to normal. 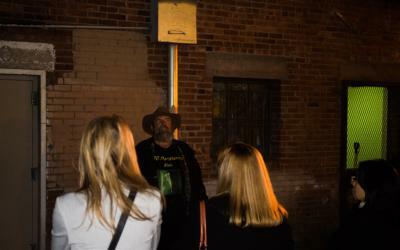 Book early, and then stay up late with us as we tour the creepiest places in downtown Albuquerque! *A small ticketing fee is applied to each ticket at checkout.